Established in 1992, the Premier League is, not to be redundant, the premier English professional league. As a corporation, it is owned by its own 20 member clubs that act as shareholders and gives them the ability to negotiate their own broadcast licensing and sponsorship deals independent of the Football Association, which is the governing body of association football in England. Since 2001, Barclays, the British multinational banking and financial services company, has been the title sponsor of the Premier League’s seasons officially titled as Barclays Premier League but that sponsorship expires this season and Premier League will move away from having title sponsors in the 2016 - 17 season, perhaps because of the new lucrative broadcast deal the league worked out. The Premier League is reportedly the most-watched football league in the world and in 2015 it sold its UK broadcast rights for a record £5.136 billion (£4.2 of it to Sky and £960m to BT). To complement the new financial developments, the league introduced a new logo yesterday, designed by London-based DesignStudio and Robin Brand Consultants. The league has had a lion with a crown pawing a ball since the beginning because that’s how lions do. They wear crowns and hold soccer balls. But we got the point: the Premier League is the king of the jungle when it comes to football and the previous logo did its best in looking regal and authoritative. The red ball felt weirdly tacked on to the paw, especially since the lion drawing was pretty great and well resolved. The wordmark was terrible, with half serifs on half of the places going halfway out. There was also the Barclays Premier League Logo that had the Barclays eagle inside a ball and the name typeset in the same font (or lettering) as the Barclays logo, which looked all kinds of weird. To top it off, the lock-up of the Barclays Premier League logo with the regular Premier League logo was not very elegant. (Its overall shape also started to look like the state of Texas). 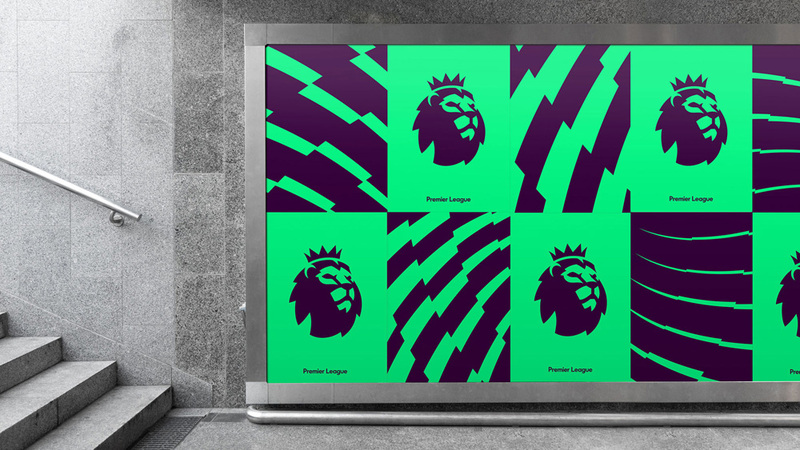 Working in partnership with the League we looked to create a bold and vibrant identity that includes a modern take on the lion icon - a symbol that is part of the competition’s heritage, that is now flexible for digital and broadcast formats. Our aim was to create an identity that acknowledges everyone who plays a part in one of the most exciting leagues in the world. And with a fresh new take on the iconic Lion, we’ve created an identity that’s purpose-built for the demands of the modern world. 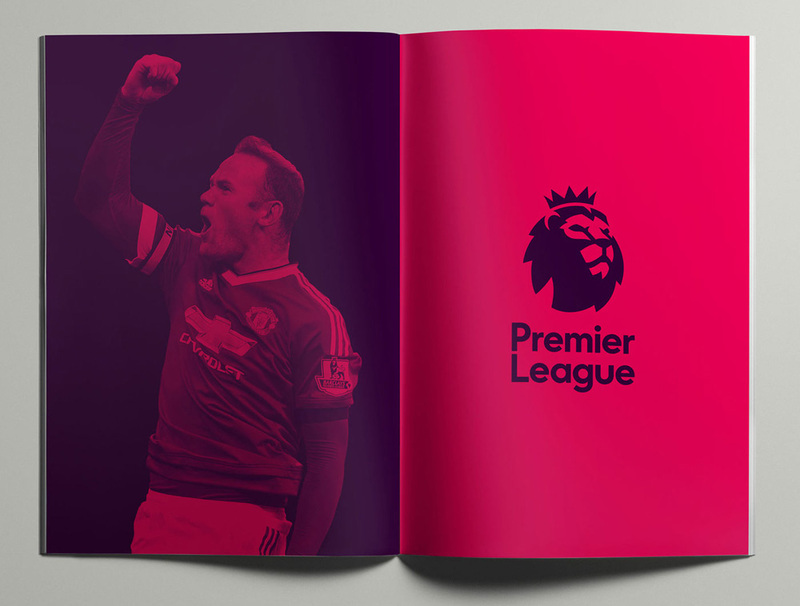 While staying true to the Premier League’s history and heritage. Outline version. Not sure how much the use of this one should be encouraged. The new logo replaces the old, obviously, but also does away with the confusing secondary Barclays logo. The full lion with a crown pawing a ball has been minimized to a ball-shaped lion head wearing a crown. Rendering animals as logos is very hard but this one manages to convey the main traits of a lion in a simple and convincing way. Most impressively (or most commendably), the face is not looking straightforward but has a three-quarter view which makes it even harder to draw but also breaks the expected symmetry. I like the lion drawing a lot, the snout and eyes are very well achieved and the mane feels full and healthy. The ear is the only thing that looks a little too cute and the crown maybe could have used some more heft to it somehow, like it’s too wispy. Still, it’s a difficult logo and it’s been done quite well. The typography, well, it is what it is. I think DesignStudio has adopted a Capsule Wardrobe approach — think Steve Jobs wearing the same thing ever — that posits that taking the stress out of choosing a new wardrobe everyday and instead sticking to one limited and prescribed set of clothes frees up your mind for other important things. As it applies to typography and DesignStudio, they are always choosing the nouveau geometric sans serif as their black turtleneck and dad jeans. Aside from that masterful insight, the typography feels un-soccer-like. It’s like it’s lacking some excitement or energy to match the lion. But it works as far as clarity. Not much in application yet as the 2016 - 17 season is a few months away from starting. There is a pattern that looks bitchin’ when animated and comes from the outline of the mane of the lion although I keep seeing the San Diego Chargers logo in it. It looks fun when cropped and tiled with the logo. The spread above shows a Spotify-esque treatment of tinting photos in two colors of the vibrant color palette. All seems to have potential. Overall, the biggest benefit of the redesign is a new logo that can be shrunk, made huge, switch colors, and more without losing its readability. It will look great on screens, from small to big, and it can probably even accommodate a new title sponsor when the time, inevitably, comes. Established in 1992, the Premier League is, not to be redundant, the premier English professional league. As a corporation, it is owned by its own 20 member clubs that act as shareholders and gives them the ability to negotiate their own broadcast licensing and sponsorship deals independent of the Football Association, which is the governing body of association football in England. Since 2001, Barclays, the British multinational banking and financial services company, has been the title sponsor of the Premier League's seasons officially titled as Barclays Premier League but that sponsorship expires this season and Premier League will move away from having title sponsors in the 2016 - 17 season, perhaps because of the new lucrative broadcast deal the league worked out. The Premier League is reportedly the most-watched football league in the world and in 2015 it sold its UK broadcast rights for a record £5.136 billion (£4.2 of it to Sky and £960m to BT). To complement the new financial developments, the league introduced a new logo yesterday, designed by London-based DesignStudio and Robin Brand Consultants.